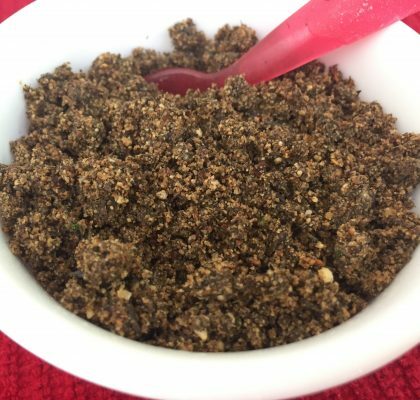 Urad Dal Chutney is a sweet and sour chutney that adds a special flavor to any meal. 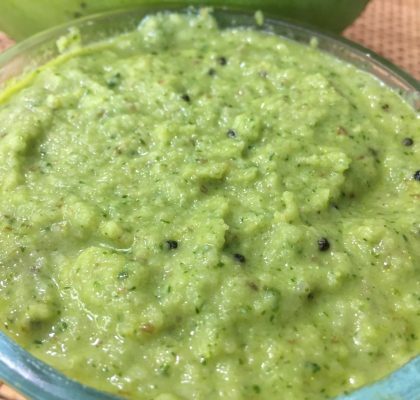 Enjoy this chutney with roti or with any South Indian food like Dosa, Idli or Uttappa. Take dried tamarind, the size of a small lemon and soak it in 1/2 cup hot water for about 1/2 hour. You can also use concentrated tamarind pulp. If so, use 1 Tsp of it. In a pan heat 2 Tbsp oil and add 10-12 curry leaves. Once the leaves crackle, add 3/4th cup Urad dal and fry till it turns pinkish in color. Turn off the gas. Squeeze out all the pulp of the soaked tamarind or use the ready made pulp and add it to the dal. Add jaggery, double the amount of tamarind. Add salt and red chili powder to taste. Grind finely in a grinder adding more water if needed. 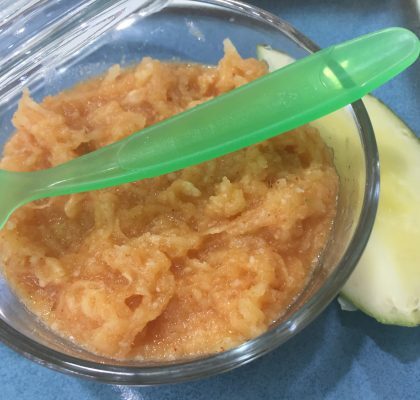 This chutney is sweet-sour in taste and tastes great as an accompaniment with chapati/roti.